“Everyday when I walk in here, I’m mesmerised,” says Sam Ioannidis of the “copper-toned sanctuary” he had a hand in pulling together – if not quite from the ground up, then from the 34th story down. 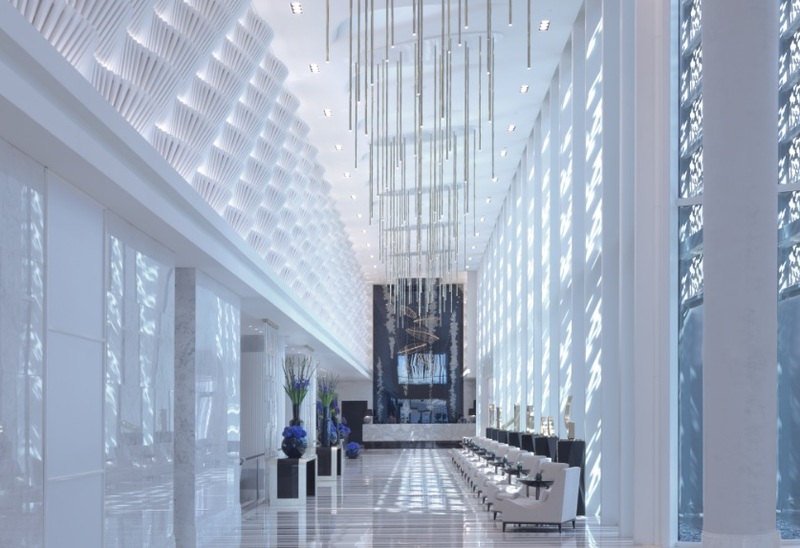 As opening General Manager of Four Seasons Hotel Abu Dhabi at Maryah Island, Ioannidis jumped right into fine-tuning details from tabletops to staff attire and hand selecting an enthusiastic team to fashion unforgettable guest experiences. 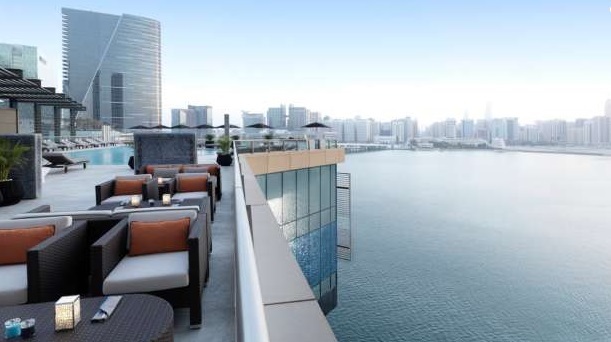 “The skyline of Abu Dhabi is always changing and there is a great deal of competition here. So the question I always have is: what will we offer that is special?” Abu Dhabi is Ioannidis’s second Four Seasons assignment outside of North America. 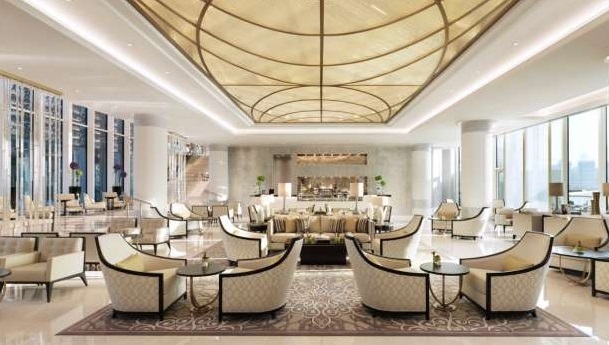 The first was Four Seasons Hotel Baku where, during a year-and-a-half as GM, he focused on infusing the property with the culture of the capital city, the better to build strong connections and draw young and vibrant locals to experience Four Seasons hospitality. Ioannidis also played a role in teaching the finer points of luxury hospitality on the university level in Baku, continuing a tradition that had previously seen him as an adjunct professor of business management at New York University. 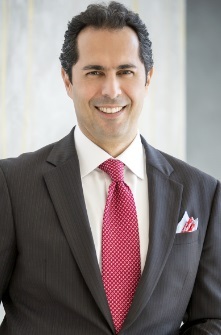 The tradition continues with Ioannidis offering his expertise at NYU Abu Dhabi and other hospitality schools within the United Arab Emirates. As young as I can remember I was always interested in food and the process that food took to get to the table. When living in Greece as a young child I recall hunting for snails so my grandmother could make a soup, picking olives, fruits from the trees at harvest and helping with the winemaking, this is how I grew up. As we immigrated and the process to the table changed with backyard gardens, yet the family dinner was still not just a meal it was a family ritual. This passion for food and dining grew I as I got older I was always drawn to it. I had tried other avenues yet could not get as excited about it as much. I went to Ryerson University for Hospitality Management and this is when my fire was further fueled for the industry. Upon graduating, I opened up my own restaurant in Toronto, Chef Owner Operator and eventually sold it. I had been exposed to Four Seasons during my school years and at this time ventured back to where I have since spent 25 years, starting in food and beverage and eventually to General Manager. Along the way I have been fortunate to work with passionate people in a great company and to travel the world . Four Seasons started as a trend setter many years ago with many firsts in the industry. We continue to do the same by listening to our guests as well as our employees to ensure our product and services are first in class. 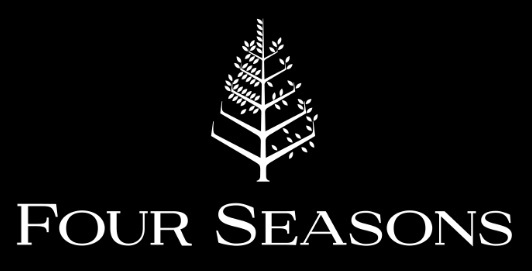 Our Four Seasons Mobil App is one of those advancements, allowing guests the opportunity to use technology yet not lose the service or personal interaction with our team. Another trend is a focus on hotel food and beverage, todays guests are looking for solid outlet concepts and the ability to compete with the free standing restaurants within cities. 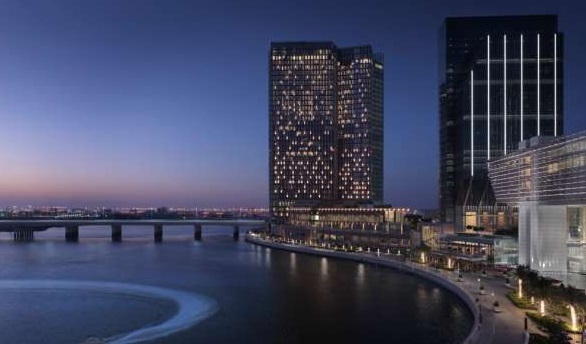 Four Seasons Hotel Abu Dhabi at Al Maryah Island is in the heart of the Capital of the UAE. The strategic location is on the newly developed Al Maryah Island; Abu Dhabi’s business and lifestyle destination and home to the world’s newest international financial center, luxury retail and dining offerings, premium hospitality and world-class healthcare. The hotels 200 spacious guest rooms with 38 suites all have views of the surrounding water as does our 6 specialty restaurants and bars, banquet space and Dahlia Spa. There are also 124 residential apartments for sale or lease, which adds to the dynamic of this exclusive neighborhood. The hotel is ideal for business or leisure with amenities for the business traveler and family alike. Our continued focus of Four Seasons growth in the GCC further establishes the brand strength in the market. Local guests appreciate the light bright feel of the hotel and respect for the Emirati heritage and travelers are delighted by the art inspired by local artists. The Hotel is truly becoming ‘The Living Room of Abu Dhabi’. We have just recently opened the Hotel and have set a strong impression on the market for the physical properties but more importantly the high level of personalized service. We continue to work with the local authorities such as Tourism & Culture Abu Dhabi to assist to build on the destination marketing we are focused on. Building strong relationships within the region and business and Government partners is key to our future success. The key to the success we have had to date has been our authentic approach to service in dealing with our guests and staff. We as well focus on strong ownership relationships which ensures alignment and support of our business goals. Furthermore, developing sound relationships with our local business partners, Embassies and the like to build collaboration and mutual support. As well, in a new business we continue to be savvy and stay ahead of our guest’s experiences so we can be relevant, proactive and make adjustments quickly to better serve their needs. Opening a new hotel is full of opportunities. I am fortunate have had great ownership support as well as from Four Seasons. The biggest challenge was to ensure the timelines fell in line especially given new construction. Changes in the dates can be catastrophic as you have to hire a team and begin the marketing process, any changes can uncured major costs, visa processes, immigration and as well impact the impression of the market as well as the employees. This is a careful balance to be made and we were fortunate to work with a talented group and made our timelines as expected. The hotel has been built with a story in mind. Abu Dhabi is a relatively new city and new history so the challenge was to build authenticity and a history that will set a cornerstone for the future. Every detail was based on the mantra “The Living Room of Abu Dhabi”. From this mantra everything that was purchased had to melt within this concept. This included over 2000 pieces of unique locally inspired art, fashion forward designer uniforms to match the sophisticated taste of the Emirates and attachment to the most prestigious mall in the Capital, strong restaurant and bar concepts that defined the needs of our guests as well. More importantly the selection, hiring and training of the international staff that has been the differentiator for our property. Authenticity of service has been remarked upon consistently since opening more so than the physical plant. Seeing people grown and succeed is highly motivating. I had the pleasure to interview each and every employee and I feel connected to them and I as well feel the responsibility for their happiness and their future success. Supporting development needs as well as working and living conditions is something we stay very close to. Seeing the staff grow and develop their skills and reach their goals is more than motivating. No industry is easy and the hospitality industry has a reputation for being stressful and time consuming. My advice is to ensure this business is your passion. You cannot fake the smiles or meet the constant needs of guests, staff and business if you don’t have true passion for this industry.